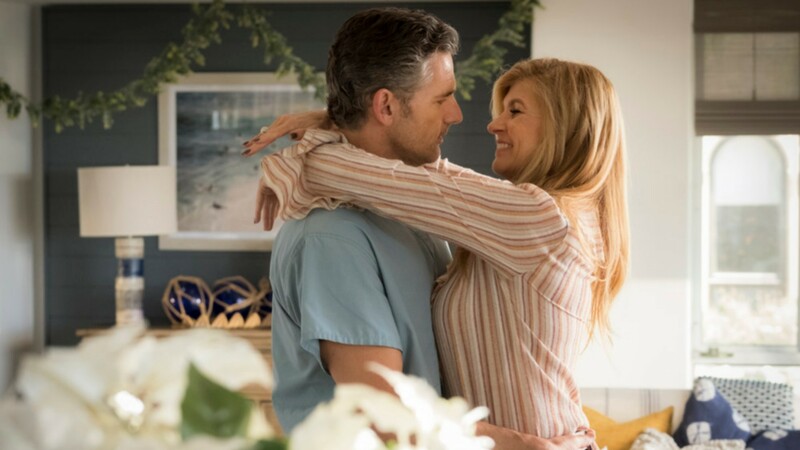 Bravo's newest series is an adaptation of the Los Angeles Times' true crime podcast Dirty John. The series stars Connie Britton and Eric Bana in his first American TV series. Dirty John follows alleged con artist John Meehan (Bana), who victimizes Southern California businesswoman Debra Newell (Britton). Their relationship comes to an end when one of her daughters kills Meehan — and the TV series will cover all that and more. Per an exclusive first look from Entertainment Tonight, Britton at one point made this very intriguing remark: “The podcast was such an extraordinary story. What excited me about playing this role is how easy it is to be conned by someone and how destructive that can be," also saying the show will be "really provocative" for any viewer, regardless of gender. And while Britton doesn't mention which parts in particular will be provocative, we have no doubt the series, adapted from a hit podcast, which in turn was based on a popular series that ran in the LA Times in 2017, will translate some of Dirty John's twistiest moments with aplomb, making for a highly reactive watch. Also included in the exclusive look was the reveal that Bana will play a much more significant role in the series than the actual John Meehan does in the LA Times podcast, which obviously suggests some creative license will be taken. The outlet shared a behind-the-scenes video including interviews with Bana and Britton as well as director and executive producer Jeffrey Reiner. Both Bana and Britton expressed excitement over going beyond the boundaries of the podcast in the Bravo series. Since fans will be seeing John for the first time, the TV series will provide plenty of twists and turns for listeners as well as people who are totally unfamiliar with the source material. As true crime continues to see a rise in popularity, especially in podcast form, we can probably expect to see more TV and movie adaptations of these stories — the question is, how will they fare? To see how Dirty John holds up, viewers can tune in on Bravo starting on the evening of Sunday, Nov. 25 at 10/9c.